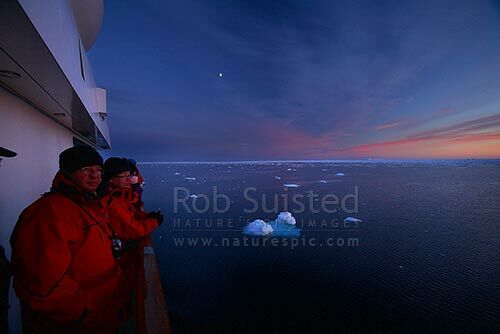 Passengers watching pack ice under the dawn sunrise. 66 degrees South. Expedition ship MV Orion. 66º 2’ S 141º34’ E, Southern Ocean, Antarctica District, Antarctica Region, Antarctica, stock photo.